Experienced Clandestine Drug Lab Service Professionals - In 2003, Meth Lab Cleanup Company began operations in the western United States. 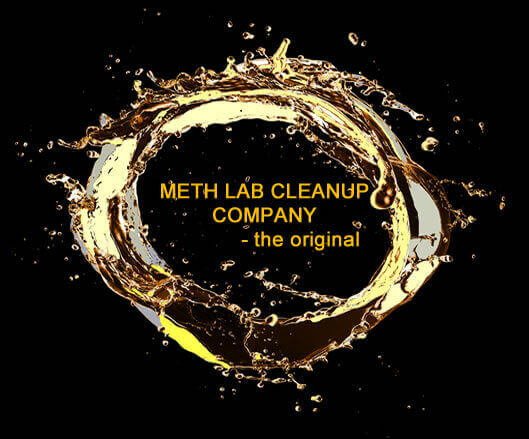 With over a combined 40 years of experience in the environmental and hazardous environment safety industry Meth Lab Cleanup Company is well suited to provide specialized clandestine drug lab testing and decontamination services to Montana, Idaho, Utah, Nevada, Colorado and Wyoming. Clandestine Drug Lab Testing & Decontamination - Meth Lab Cleanup Company is an environmental firm that sets itself apart from its competitors by offering comprehensive, legally defensible services that include: clandestine drug lab (meth lab) assessment, meth lab decontamination, regulatory development consultation, training and precise meth residue testing products. Customer Satisfaction Guaranteed - Meth Lab Cleanup prides itself on earning customer loyalty through excellent service. Our technology and processes have been designed and developed by a degreed hazardous waste management specialist, an industrial hygienist, an experienced hazardous environment safety administrator and a team of technicians working together on clandestine drug lab decontamination industry recognized standards of practice. Montana's meth residue limit is 0.1 ug/100cm2. Montana requires disclosure if the property has not been remediated to state standards by a contractor certified by the state in methamphetamine decontamination. Utah's legal standard is 1.0 ug/100cm2 . In addition to state regulations, several counties also have laws. Utah requires an owner to disclose methamphetamine contamination on the property that occurs by production, storage or use of the drug. Nevada has promulgated a clandestine drug decontamination / meth lab cleanup law. It is not being enforced. Nevada does not require notice as long as the contaminated property has been remediated to state standards (not yet established). There are no states in the US that regulate fentanyl laboratories, specifically. Currently, testing and decontamination is completed in accordance with methamphetamine lab protocol with attention to additional hazards. View regulations. Visit Wikipedia's state and local law enforcement listing for police and sheriff's office (Drug Task Force) contact information for the states of Wyoming, Colorado, Utah, Montana, Idaho and Nevada. The High Intensity Drug Trafficking Areas (HIDTA) program, created by Congress with the Anti-Drug Abuse Act of 1988, provides assistance to Federal, state, local, and tribal law enforcement agencies operating in areas determined to be critical drug-trafficking regions of the United States. An easy-to-navigate map of local health departments is provided online by NACCHO. Find the Colorado, Utah, Nevada, Idaho, Montana and Wyoming contact information you need for further information on clandestine drug lab programs and requirements, if available. The oversight of contaminated property is usually the responsibility of the Environmental Health Department within the county or state Health Department. In some states, like Wyoming, the quarantine and release of contaminated property is handled by the Wyoming Division of Criminal Investigation.